2 YEAR ANNIVERSARY OF THE UNSOLVED MURDER OF JUAN CARLOS MUNOZ JR.
On October 11, 2015 at approximately 7:50 p.m., 18-year-old Juan Carlos Munoz Jr. and his 17-year-old friend were stopped in a vehicle in the 1600 block of Prospect Street in National City, when a Nissan Altima pulled alongside them. The front passenger of the Altima exited his vehicle and approached Juan Carlos Munoz, who was the driver. 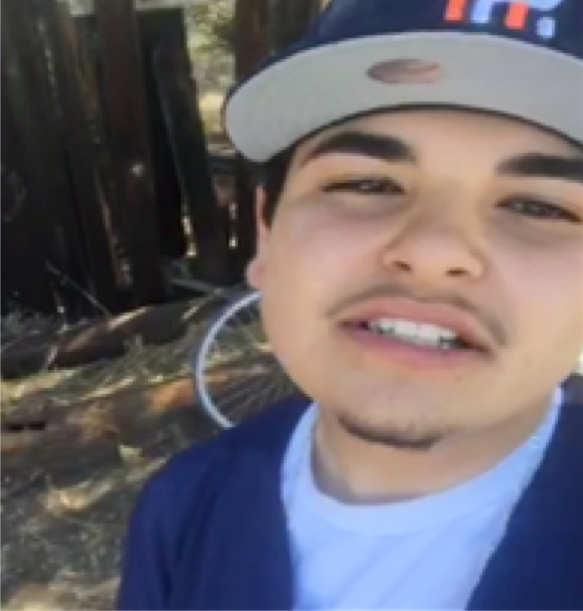 The suspect asked Munoz and his friend where they were from. The suspect fired five rounds from a handgun into the vehicle. Four rounds struck Munoz on his left shoulder and one round struck the 17-year-old on his left thigh. The suspect fled in the vehicle eastbound on E. 16th Street. Munoz succumbed to his injuries. His friend’s injury was non-life threatening. Suspect Description: Per several witnesses, the shooter is described as a light skinned Hispanic male in his 20’s, husky build with a shaved head. The vehicle was described as an early to late 2000’s 4-door Nissan Altima. Both suspects should be considered armed and dangerous. Anyone with information on this homicide is asked to call the National City Police Department at (619) 336-4411 or the Crime Stoppers anonymous tip line at (888) 580-8477. Crime Stoppers is offering a $1,000 reward and the Munoz family has offered an additional $4,000 reward to anyone with information that leads to an arrest in this case. Visit the Crime Stoppers website at www.sdcrimestoppers.org for more information on how to send anonymous web and mobile app tips. Questions regarding the investigation should be directed to Sergeant Cameon at (619) 336-4524.